This pendant, which features in Geometric Beadwork Volume 2, was in the works for a numer of years before I managed to perfect the numerous tricks needed to get the tension, fit and structure to work. 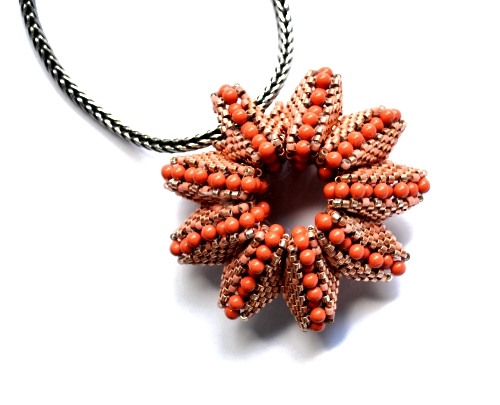 The method of hanging is the same as detailed in this pendant project which features in Geometric Beadwork. You can see a bangle variation here, more examples here and purchase bangle kits here.